Learn the fundamentals of Adobe’s powerful photo management tool, Lightroom CC® in this one day course designed to provide a solid platform from which you can successfully catalogue, develop and export your photos. 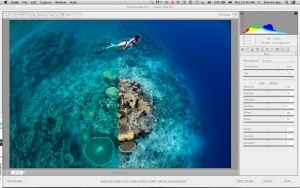 Adobe Photoshop® is a powerful pixel editor that is a great tool for advanced photo editing. This one day course designed to provide a solid grounding in the program’s functions that will take you beyond the realm of the simple RAW converter, into pixel-based editing.